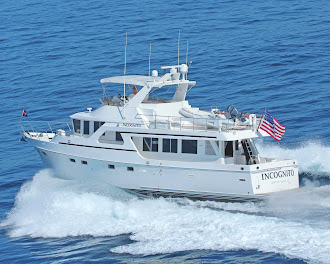 THE VOYAGES AND ADVENTURES OF M/Y INCOGNITO! : Great Day Back! Flying out of John Wayne airport to Cabo today was a breeze! Such a treat to fly non-stop from home and not have to drive to LA-la-land!! The flight wasn't even half full, and the nice warm breeze that greets you outside the airport feels like a hug from an old friend. 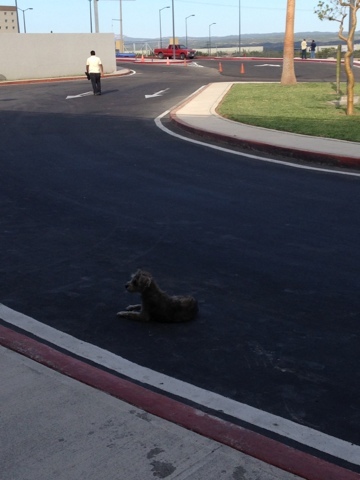 At the airport taxi area we were then greeted by Pepé the pup...he's a scrappy sort of guy. Haha! 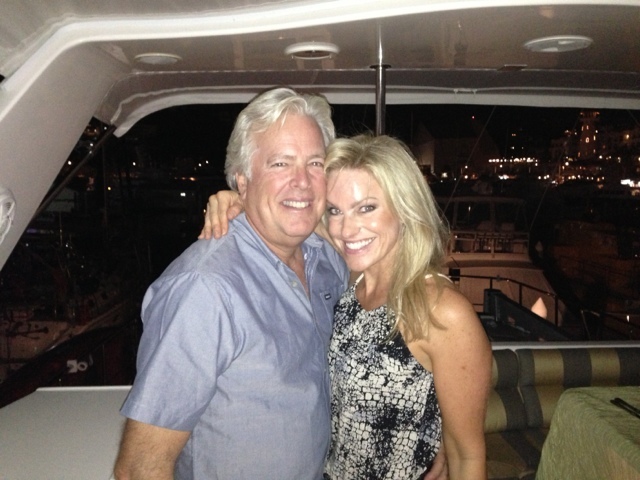 We got to our hotel where Danny our boat hand met us to take us to the boat. 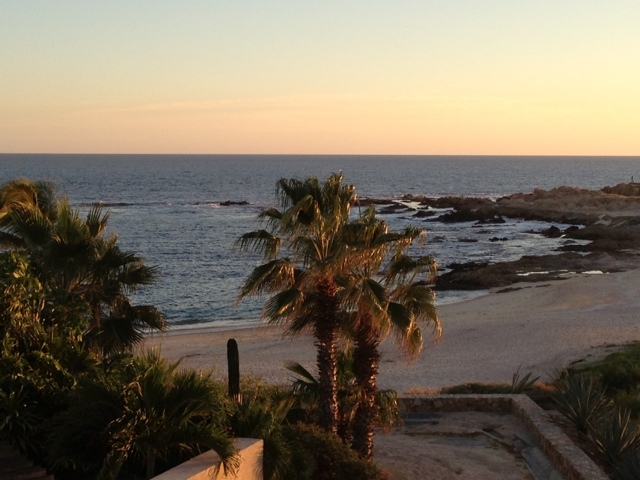 We had a few minutes to enjoy the view from our room & the weather is perfect! We took a taxi to the marina and as we walked down the dock, I was caught by the beauty of all the fishing boats lined up in perfect symmetry. Just as we walked on board to meet a chef I hired for a corporate party we are hosting later this week, I noticed some new faces I wasn't aware of. 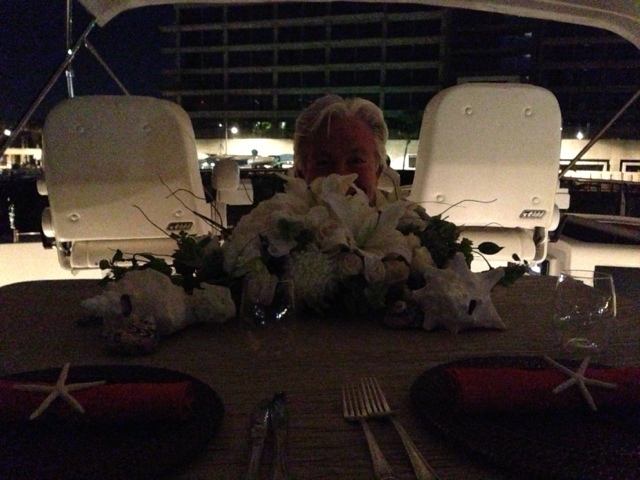 Low & behold...my handsome husband surprises me with a private dinner for just the two of us! I was floored...and the food was beyond amazing!! What a "foodie" experience we had! 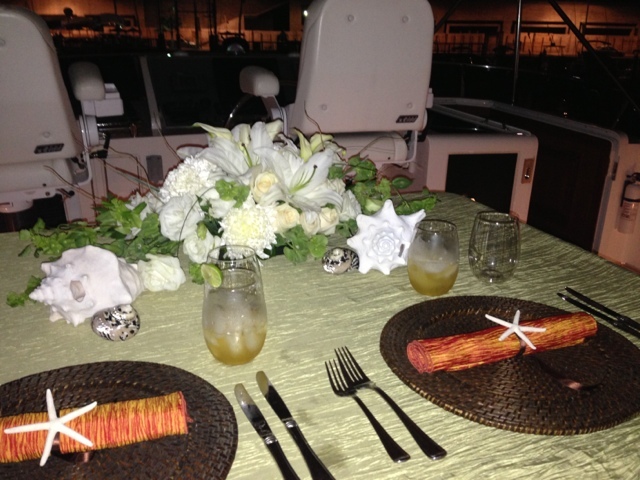 I'm still reeling from all the yummy goodness & his romance that never ceases to surprise me. 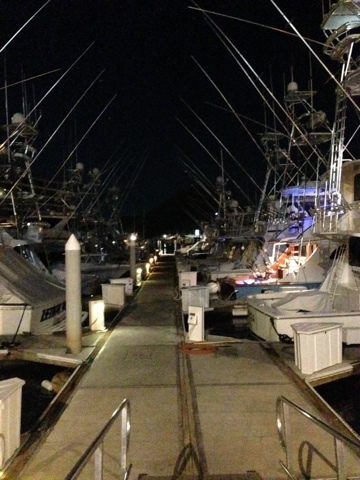 We strolled down the marina dock and headed to catch a cab back to our hotel. 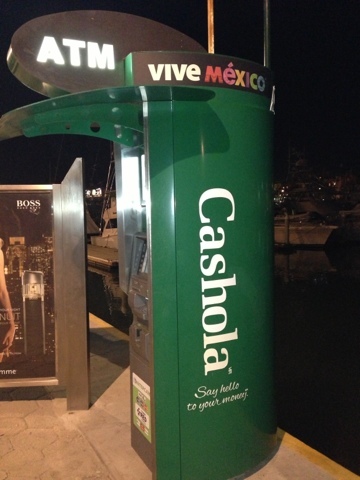 I came across the local ATM machine... What a crack-up to see it called "Cashola" with a "Viva Mexico" sign on top. Just hilarious! 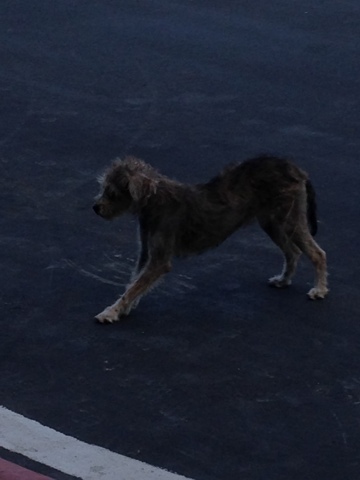 Can you imagine walking down the street & asking someone... "Dondé esta la cashola?". What a hoot! 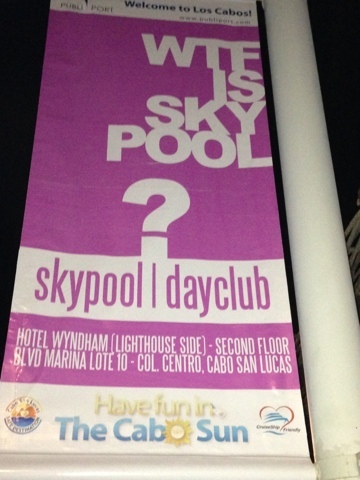 A little farther down the street was a banner advertising a new beach club. It's always fascinating to observe advertising in foreign countries, and this one didn't disappoint. 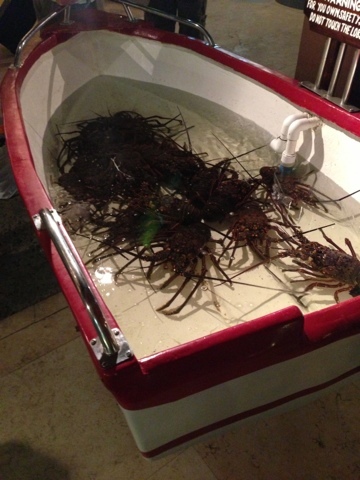 The last photo nugget is of a local restaurant advertising the days lobster catch... It doesn't get any fresher than that!